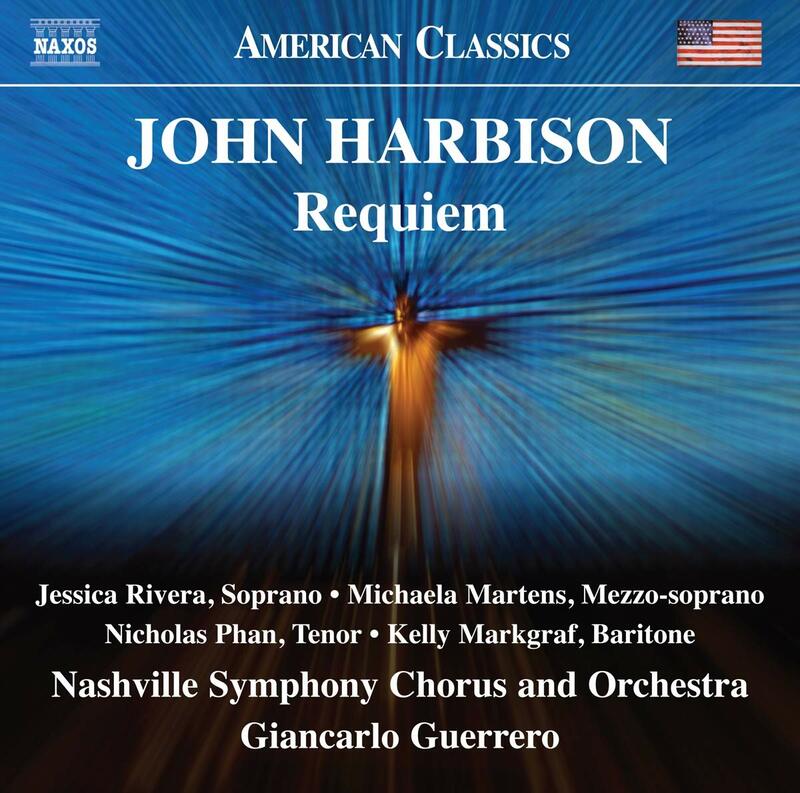 American composer John Harbison’s Requiem came to light in 2002, prompted by a commission from the Boston Symphony which, eerily, was signed in the first week of September 2001. The work had a long gestation beginning in the mid 1980s and a similar period has elapsed between the 2003 premiere and this recording. Now aged 80, the composer has been a mild exponent of modernism, a trait that is evident in his handling of the texts of the Requiem Mass. Scored for ample forces, four soloists and chorus, Harbison uses his resources with restraint. While the hour-long score has echoes of Britten and Bernstein, it lacks either composer’s gift for striking drama or memorable melody, and comes across as a rather academic exercise that focuses on the trials of earthly existence and the certainty of death, rather than an offering of consolation or hope. The Sanctus, one of the lighter moments, seems to tip its hat to David Fanshawe’s African Sanctus with its catchy rhythms, but the In Paradisum, despite a questing violin, remains sadly earthbound. Giancarlo Guerrero and his Nashville forces give a committed performance, although at times I wished for more incisive tone from the chorus. The soloists, especially soprano, Jessica Rivera and tenor, Nicholas Phan sing with fervour. Harbison says his aim was not to coerce listeners into how they should feel. Had he attempted that, the results may have been more involving. How did Rosetti’s Requiem come to be chosen for Mozart’s memorial and why has it largely disappeared? concerned with death, but research presented with this disc suggests that the outsize Ciacona with which Bach concluded the Partita is a memorial for his first wife Maria Barbara, who died suddenly at Cöthen in 1720 while Bach was away with his patron, Prince Leopold in Karlsbad. Professor Helga Thoene further suggests that the whole partita is based on a series of chorales (inaudible to the listener) and has the secret theme of death and resurrection. To prove this theory, violinist Gordan Nikolitch performs the Partita interleaved with apposite chorales sung by Tenebrae.